Felton – CAL FIRE would like wish the public a Happy Holidays. Even so we still need to remind the public that even with the New Year’s Holiday occurring in the winter period, this year’s extremely dry fuel conditions, require extra care when dealing with fire. This includes the use of Fireworks, Sky Lanterns and bonfires. Each year numerous injuries occur to members of the public when participating in these types of activities around the holidays. This year’s heightened risk of fire escapes and catastrophic wildfires similar to what occurred in Big Sur before Christmas only enhances the dangers associated with these activities. Normally by this time of year, San Mateo and Santa Cruz Counties would have received over 12” of rainfall, so far, we are at 2.5”. We would also experience an estimated small 5 Wildland fire calls in November and December but this year we have had 31. For this reason, CAL FIRE has also proclaimed a burn ban in both Santa Clara and Santa Cruz CAL FIRE units. This bans outdoor burning except campfires in both units. So far this season we have already experienced 15 escaped fires from pile burns this winter. The public must remember that they are both legally and financially liable for any fire that they lose control over. This includes fire started from Fireworks and other activities involving fire including Sky Lanterns and debris piles. CAL FIRE reminds everyone that it is their individual responsibility to use fire safely and to prevent fires. This includes the proper disposal of fireplace ashes and the maintenance and care of safety monitors such as Smoke and Carbon Monoxide detectors. Visit www.ReadyforWildfire.org for more information on how to prepare for and prevent wildfires. Please be fire safe and have a Happy Holidays. Nearly 400 wild land firefighters have died in the last 20 years. 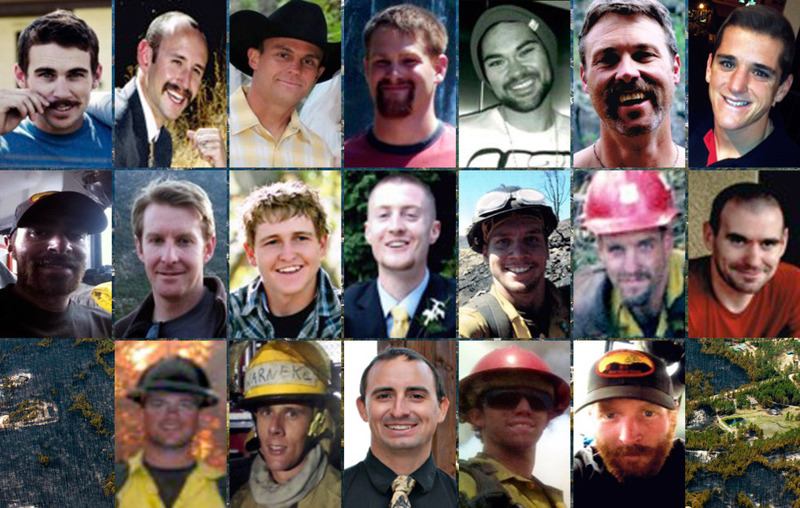 On June 30, 2013, 19 firefighters known as the Granite Mountain Hotshots gave their lives battling a Yarnell, AZ, wildfire. The Weather Channel network will also offer coverage of the six-month anniversary on air. The weather.com site examines the tragedy and larger questions about U.S. wildfire policies that their sacrifice raises: Why are wildfires increasing in number and intensity? How has climate change altered our forests? Is there a national fire policy that should be changed, or are we too late? The documentary and report include exclusive and in-depth interviews from surviving family members and the sole surviving firefighter, who has only given one other interview on the topic. This project follows continued investment from The Weather Channel to provide compelling content for fans though increased long-form and investigative journalism, in-depth stories and beautiful video such as Weather Films. Check out the story at weather.com. “America Burning” was produced by the weather.com team of award-winning journalists, including Editor-in-chief Neil Katz, executive producer Greg Gilderman and producer Shawn Efran of Efran Films. Responsibility Area and Local Responsibility Areas under contract to CAL FIRE in the following counties: Alameda, Contra Costa, Santa Clara, San Mateo, Santa Cruz, portions of Stanislaus, and Western San Joaquin Counties. Experience has shown that open burning suspensions effectively aid in preventing fire escapes and significantly reduces the risk and occurrence of large fires. This is especially important as these counties are currently experiencing record breaking low cumulative rainfall, low humidity, dry fuel moisture levels and increased fire activity. So far in November and December this year in Santa Cruz County alone, out of 31 vegetation fires, we have experienced 15 escaped debris fires. Normal for the same period would be an estimated 5 to 7 vegetation fires alone. Agriculture, land management, fire training, and other industrial-type burning may proceed if a CAL FIRE official inspects the burn site and issues a special permit to specifically exempt a burn from this ban. Campfires are allowed in designated campgrounds, or in established facilities on private property with permission of the landowner and jurisdictional authority. management district for addition regulations and requirements. prevent fires. Visit www.ReadyforWildfire.org for more information on how to prepare for and prevent wildfires. Anyone with questions about this declaration is urged to contact the nearest CAL FIRE facility. Alameda, Contra Costa, Santa Clara, San Mateo, Santa Cruz, portions of Stanislaus, and Western San Joaquin. 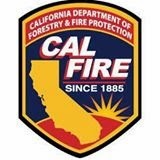  Agricultural, forest management, fire training, vegetation management, and other industrial-type burning may proceed after a CAL FIRE official has inspected the burn site and issued a special permit.  Campfires within organized campgrounds or on private property are allowed with landowner permission if the campfire is maintained in such a manner as to prevent the campfire from spreading to the wildland vegetation. This suspension will begin at 8:00 AM Monday, December 30, 2013, and will continue in place until formally cancelled. This PROCLAMATION is issued at Felton, California, this 30th day of December 2013. SANTA CRUZ -- In response to Santa Cruz County's driest year on record, CAL FIRE is staffing extra crews and mobilizing additional engines. There have been 31 wildfires reported for November and December, a six-fold increase from the typical four to five in any other year, said Rich Sampson, division chief for CAL FIRE. "For us to start seeing vegetation fires at the end of December, that just doesn't happen," he said. "Last time that happened was in 1961 and they had a 3,000-acre fire in the Gazos Creek Drainage area on the county line." Rainfall averages for the second half of the year are typically 15 inches, Sampson said. For the same period this year, the average is 2.5 inches. The response includes keeping investigators on hand at 24/7 to ensure there are no illegal fires, keeping two crews in staffed in Ben Lomond as opposed to none and having all-terrain engines ready to go. During winter months, CAL FIRE usually keeps fire engines typically used for house fires, medical calls and car accidents, Sampson said. But with the increased danger of wildfires, officials are opting to keep summer engines, which are used to battle fires in rough terrain. Factors that lead to the decision to increase staffing and keep extra engines on hand include the dry weather and the recent wildfire that devastated the Big Sur area. The Big Sur fire, which raged for days and destroyed dozens of homes and more than 900 acres, drew roughly 1,000 firefighters from around the state. While showers in November raised the moisture content in plants and a respite from the fire danger, moisture levels dropped dangerously low again because of the lack of rain. 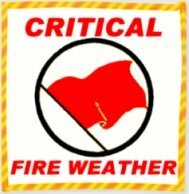 A CAL FIRE burn ban is expected to be put in place until there is significant rainfall to offset the fire danger. The ban will bar any type of fire other than campfires and warming fires, Sampson said. At this time of the year, when some homeowners are burning excess brush or other debris, there wouldn't be a danger because the surrounding area would be green and full of moisture. But with the drought conditions, a small spark could lead to a destructive wildfire, Sampson said. "As soon as a fire or spark gets out (now), it starts a big fire and it takes off," he said. He added that the vegetation is drier now than it was on the Fourth of July. "They expect during the holiday season that they don't need to be fire safe but they do," Sampson said. "We fully expect people to be off shooting fireworks New Year's Eve and, with the fuel conditions the way they are, it'll be dangerous like in the Fourth of July." 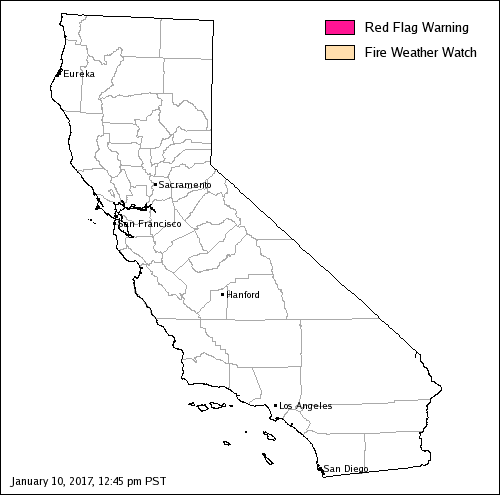 Red Flag Warning has been issued for the Sierra Nevada front country from Yosemite south through Kern County until late this evening. Strong, gusty Northeast winds and low humidity will increase the wildfire threat and promote rapid fire growth if a fire ignites. RED FLAG WARNING NOW IN EFFECT UNTIL 4 PM PST MONDAY FOR VERY LOW HUMIDITIES WITH POOR OVERNIGHT RECOVERIES FOR THE SOUTHERN SIERRA NEVADA, LOS ANGELES, KERN AND VENTURA COUNTIES AND THE TEHACHAPI MOUNTAINS. Californians and guests visiting these recreational areas are encouraged to be extra cautious and avoid accidentially sparking a wildfire. "One Less Spark means One Less Wildfire" . ATLANTA (December 30, 2013) – Six months after 19 firefighters lost their lives battling a devastating Arizona wildfire, The Weather Channel® investigates the larger problem of U.S. wildfires in an original documentary and in-depth written report, “America Burning” (wt). Available Dec. 30 at weather.com, the multimedia project goes beyond what you’ve heard before. The report focuses on the contributing factors such as climate change, drought and issues gone wrong over 100 years that created this predicament. Nearly 400 wild land firefighters have died in the last 20 years. 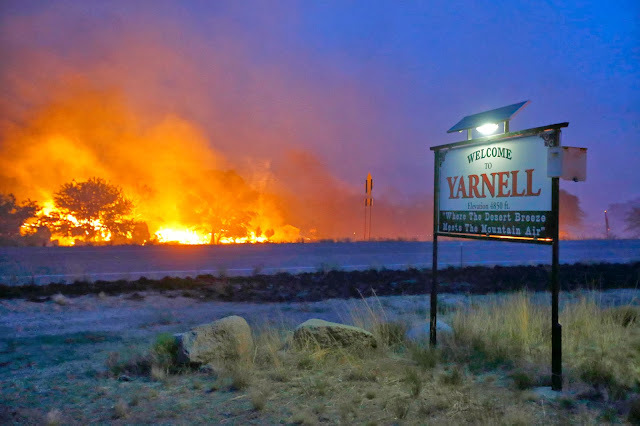 On June 30, 2013, 19 firefighters known as the Granite Mountain Hotshots gave their lives battling a Yarnell, AZ, wildfire. The Weather Channel network will also offer coverage of the six-month anniversary on air. The weather.com site examines the tragedy and larger questions about U.S. wildfire policies that their sacrifice raises: Why are wildfires increasing in number and intensity? How has climate change altered our forests? Is there a national fire policy that should be changed, or are we too late? Riverside City Fire Chief Steve Earley announced his retirement on Dec. 27, 2013. Riverside Fire Chief Steve Earley retired Friday, Dec. 27, the city announced, but he isn’t going far or taking it too easy. Earley will take a new job Jan. 10 as the city’s Fire Administrator. He will mentor three department officers who will rotate as acting fire chief through Sept. 30, the city said in a news release emailed after City Hall closed for the week. Earley will also work on special projects, including representing the city as Riverside County reviews its emergency medical services program. Earley has worked for the department for 32 years, including about the past five as fire chief. Deputy Chief Mike Esparza became acting chief Friday and will serve in that role through March 31. Division Chief Bill Schellhous will take over from April 1 to June 30. And Division Chief LaWayne Hearn will be acting chief from July 1 to Sept. 30, the city said. The city could not immediately answer several questions, such as whether Earley will receive his pension while working as Fire Administrator and whether the fire chief position will be advertised during what appear to be auditions for Esparza, Schellhous and Hearn. Editor comment: Obviously Double Dipping this kind of greedy behavior does not go unnoticed What the hell is a "City Fire Administrator" anyhow? The mission of the Riverside Fire department is to preserve and enhance the quality of life for the citizens of the City of Riverside. The fire department shall protect life, property, and the environment within the city through proactive life safety, community education and emergency services programs utilizing responsible fiscal management, a highly trained work force, progressive technology and modern equipment. 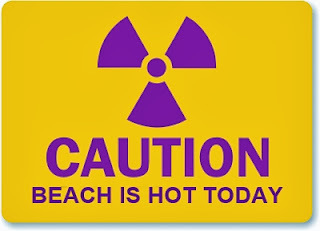 Is Fukushima Radiation hitting San Francisco! Would the Government Tell Us? (Dec 2013)12 to 13 times over background. Background radiation is 30 CPM. Near the ocean it's 150 CPM. The fine mist coming from the ocean waves seems to be what makes the Geiger Counter jump. More thorough readings need to be done! Where is the useless government/media? 72-year-old man who was rescued from his burning car on the 405 Freeway has been arrested on suspicion of DUI, according to the CHP. The driver's black Mercedes Benz station wagon burst into flames after he veered across the lanes and crashed into the center divider around 1:45 p.m. near the Sepulveda Pass. 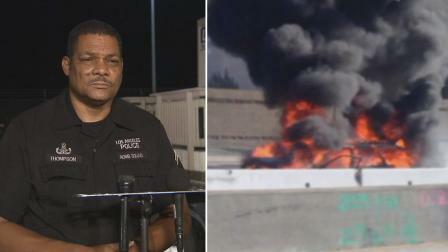 LAPD Bomb Squad Lt. Don Thompson talks to the media after he rescued a driver from a burning car on the 405 Freeway on Wednesday, Dec. 25, 2013. SHERMAN OAKS - Emergency Personnel and two civilians rescued a trapped elderly motorist from a burning vehicle on the northbound San Diego Freeway (405), just South of Ventura Boulevard, on December 25, 2013. LAPD Bomb Squad Officer Thompson was driving to work on the southbound 405 freeway when he witnessed a station wagon crash and burst into flames. He quickly pulled to the center median, jumped over the guardrail and opened the car door. The driver of the vehicle was unconscious and still trapped behind the wheel as the flames began to engulf the front seat compartment. The Officer fought the intense heat and smoke while feverishly working to remove the victims seat belt and pulled him out. With the help of two brave motorists, they carried the limp victim over the center median to safety, where another fortunate event took place. Off-Duty Battalion Chief Miyagishima was headed to visit family for a Christmas dinner. He supervises LAFD's 9-1-1 dispatch center. Witnessing the driver being pulled out, he promptly called a direct line to an on-duty LAFD Captain at the dispatch center and provided the exact location of the incident. This was a great help since previous commuters contacting 9-1-1 provided different locations. This is an important reminder when calling 9-1-1 knowing your exact location or address expedites response. He also advised responding firefighters to access to the traffic filled incident by strategically and safely entering a nearby off-ramp, saving approximately five minutes. Miyagishima then started to assess the injured driver before additional help arrived. The man driving the car was transported to an area hospital with moderate injuries. Officer Thompson sustained first and second-degree burns, abrasions to his hands and knees and suffered from smoke inhalation during the rescue. Thompson was treated by LAFD personnel on scene and later received additional treatment for his injuries at an urgent care facility. There were no other injuries. The trapped victim would not have survived if it had not been for the fortunate and brave intervention. NORTHRIDGE - Los Angeles Firefighters battled a Major Emergency Structure Fire that destroyed a family's two story house on Christmas Eve. On December 24th, 2013, just before two AM, the Los Angeles Fire Department was called to 19641 West Citronia Street. Firefighters arrived quickly to find a nearly 4,000 square foot home fully involved in flames. During the aggressive fire attack the intense flames caused a partial roof collapse. 108 Firefighters all under the command of Battalion Chief Thomas Ottman had the blaze completely extinguished in just 41 minutes. The fire displaced a mother and her 2 children who were away at a family gathering when the fire occurred. Although, the home was a complete loss, no one was injured during the fire. Investigators determined the source of the fire to have been a dry Christmas tree, which had been purchased before Thanksgiving and had not been watered. This tragic loss is an important reminder of Holiday and Christmas tree fire safety. LAFD Firefighters from the local fire station delivered toys to the Northridge Family to replace presents destroyed by the fire. The monetary loss was estimated at $700,000 ($500,00 structure & $200,00 contents). A brush fire that started Wednesday night in the Santa Susana Pass near Simi Valley is about 80 percent contained at 10 acres Thursday morning, but only 20 percent is under control, officials said. UPDATE FROM VCFD - The Lilac Fire in the Santa Susana Pass area is at 8 acres in size, 80% contained and 20% controlled. Firefighters from Ventura County, Los Angeles County and City battled the wind-driven fire over night. Law enforcement agencies from Simi Valley, Ventura and Los Angeles Counties assited with traffic control and sheltering-in-place of residents. High winds, which will continue until noon today, low fuel moisture, fire history of the area and residences in the area means the potential and threat of the fire remains. There are no evacuations. Santa Susana Pass Rd. is closed between Box Canyon and Rocky Peak. Lilac Lane is open to residents. A firefighter with a minor ankle injury was transported to Simi Valley Hospital. 1:10 p.m. - The second brush fire has been contained, according to the Ventura County Fire Department. Near the 118 Freeway and Kuehner Drive, it is reported as a small spot fire. 12:55 p.m. - Road Closures California Highway Patrol has shut down two lanes eastbound on Highway 118 near Rocky Peak to allow room for fire equipment. The new blaze, reportedly about a 1/2 acre, has been dubbed the Freeway fire. 12:45 p.m. - Ventura County Fire Department reported a new fire in the Simi Valley area about 12:35 p.m. The department diverted units working to control the Lilac fire to attack the new blaze. Preliminary reports indicated about one-half acre was burning near Kuehner Drive and Highway 118. Noon - The containment and control figures remain the same, but the winds are not subsiding, said Capt. Mike Lindbery of the Ventura County Fire Department. Firefighters and crews are expected to work until 6 p.m., when officials will assess what to do next. 8:23 a.m. - A brush fire that started Wednesday night in the Santa Susana Pass near Simi Valley is about 80 percent contained at 10 acres Thursday morning, but only 20 percent is under control, officials said. In addition the Ventura County Sheriff's Office has reopened Santa Susana Pass Road between Box Canyon and Rocky Peak roads, which was closed overnight, officials said. “The big picture is we have 20 percent of the work we need to get finished here,” Lindbery said. "This was a very small fire with a very large response for a good reason,” he said. The blaze is burning in an area that has a history of fires that have threatened structures in the past. The brush in the area is also very dry, Lindbery said. The winds have calmed down since the sun rose Thursday morning, Lindbery said, but gusts are reaching up to 25 mph. Five fire engines and two hand crews are expected to work on mopping up and monitoring the blaze throughout the day. The blaze in the Santa Susana Pass area was holding at 8-10 acres early Thursday, but officials warned it could spread if the wind hit it. LOS ANGELES, Dec. 26 (UPI) -- California firefighters said Thursday they have gained ground on a Simi Valley brush fire fanned by strong winds that could cause the blaze to spread rapidly. The Ventura County Sheriff's Department said the fire was expected to be fully contained by 6 p.m. PST Thursday, the Los Angeles Times reported. Officials said early Thursday the fire was about 20 percent contained. Officials said about 300 firefighters from Los Angeles and Ventura counties were working to control the blaze, which started Wednesday, KNBC-TV, Los Angeles, reported. The Lilac fire fire had burned 10 acres by midnight Wednesday. At one point, the fire threatened about 20 homes, officials said. Santa Ana winds gusting to about 35 mph "are almost blowing us over," said Los Angeles County Fire Capt. Mike Lindberry. He said brush in the area is so dry, "if we have an ember blow out, it has a 90 percent chance of igniting and starting a new fire."